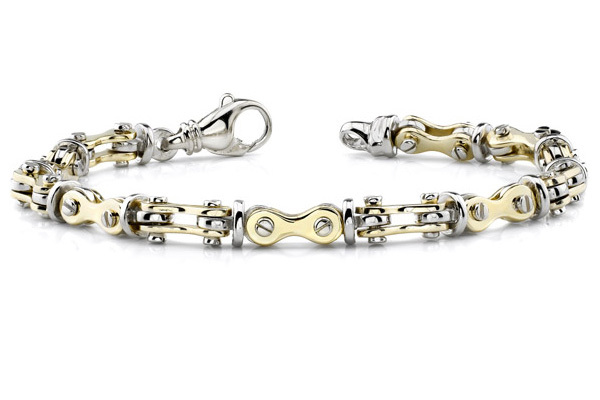 14K Solid Two-Tone Gold Bicycle Design Link Bracelet. Also available in 14k solid white gold, shown below. We guarantee our Bicycle Link Bracelet, 14K Two-Tone Gold to be high quality, authentic jewelry, as described above.